Here in the Literature Works office, we are surrounded by windows. As I type this those windows are being hammered with rain. The full force of Autumn’s surprisingly swift descent into winter rages on. It’s a time of change, of things ending and beginning, there’s an excitement in the air which has been building since Bonfire night. 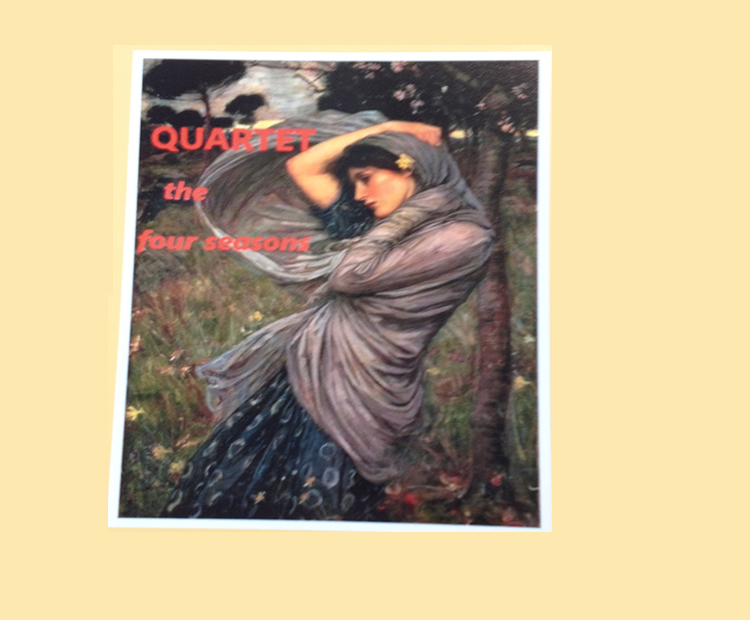 It’s cold, the wind is harsh and we’re taking refuge from the elements by reading about the seasons in the newly published Quartet: the four seasons, a new release from Avalanche Books. Contained within this anthology are poems to cover every mood about our annual seasonal calendar. From poems of exultation and celebration to those which reference the harshness of the natural world, the impact of humanity upon it. The reader is guided through the seasons by a host of poets including some we are very familiar with: Roselle Angwin, Alison Brackenbury and Matt Harvey to name but three. Skilfully lulling language and experimentation with forms and meanings propel the reader through the collection and inspire thought, relfection and excitement in equal measure. An eclectic selection, these poems are unified by their aim of demonstrating the cyclical nature of life and our propensity to express in words and actions our connection to it. There is a connectedness between the binary humans and nature here which is a pleasure to experience. Quartet: the four seasons is available now.